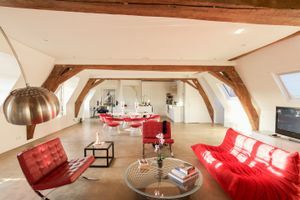 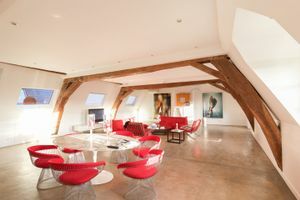 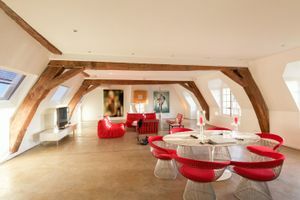 This unique 200 sq m apartment space in the arty and affluent area of Haut Marais close to Place des Vosges is perfect for Fashion Week showrooms, private sales and events. 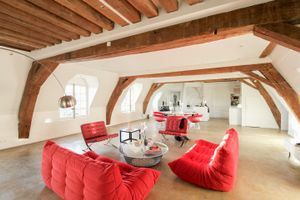 The interiors are classic and authentic to the area with a loft style arched ceiling, exposed beams and multiple curved windows. 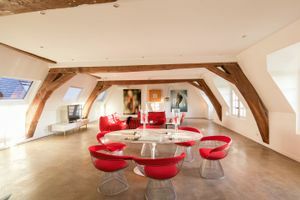 The contemporary furniture and modern spotlights bring a sophisticated and creative atmosphere to the space and there are a range of facilities which make this space perfect for showroom events. 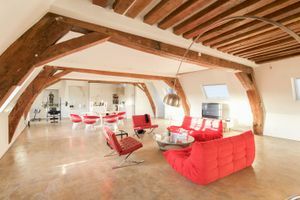 Just a stone's throw from the Place des Vosges, famous for its many galleries, the streets of Turenne, the Bourgeois Francs and the boulevard Beaumarchais,this space boasts a magnificent location. 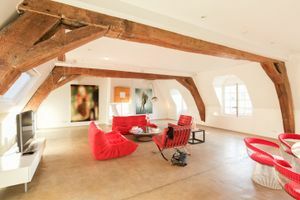 This is an ideal spot for Fashion Week showrooms.